The pastoral couple is wonderful people who are both very relational and people persons. They enjoy talking to and praying with people. Pastor Jean is a funny man with a deep reservoir of jokes that he is ready to pull out almost any time. 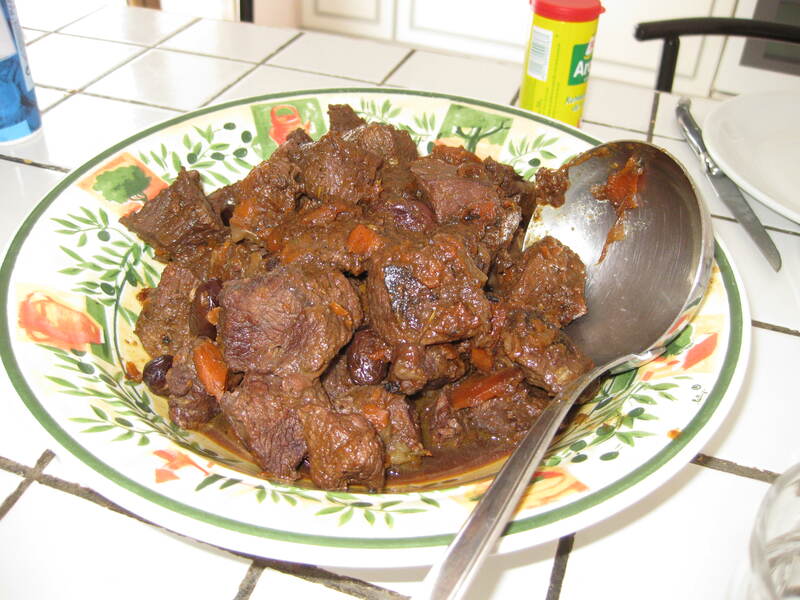 His wife, Lucette, is a very gentle woman who is a fantastic cook. Everyday she labored to make beef burgundy, roasted chicken with ratatouille, stuffed tomatoes, and pierrade. They started the church about 30 years ago, and now particularly the kid’s ministry and youth ministry are growing rapidly. 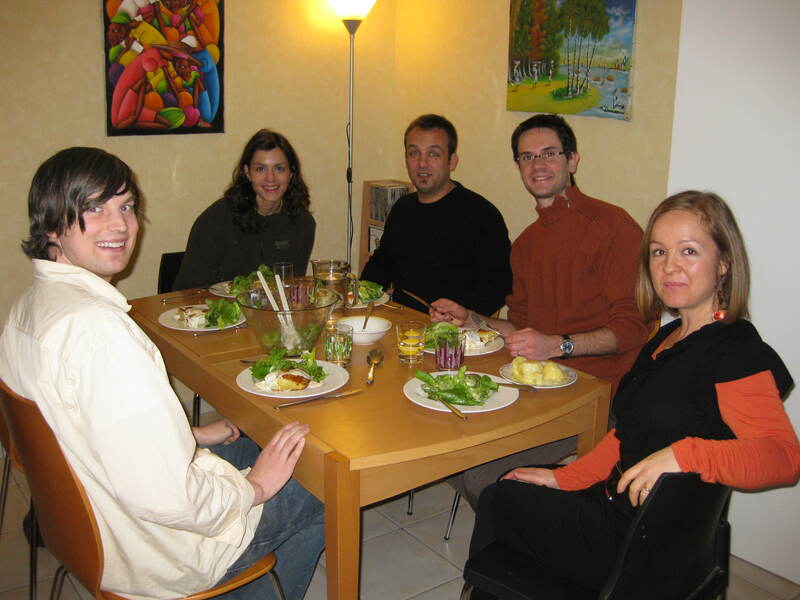 We had a chance to fellowship with their daughter Natalie’s family and their son Samuel and his girlfriend from Greece. While a lot of French people speak softly, Samuel has an unusually amusing and animated personality. We all laughed so hard and so loud even though the kids were asleep upstairs. Natalie served a fantastic potato tart that night, followed by three kinds of desserts: fruit salad, strawberry tart, and tarte tatin (upside down apple pie). Craig is the youth leader of the church, who has been faithfully ministering to the youth as long as we have known him. He was very helpful, particularly to Miho, interpreting her testimony as well as her Sunday sermon. And he did a fantastic job! He is blessed with 6 kids, and two of them lead worship in the youth group. 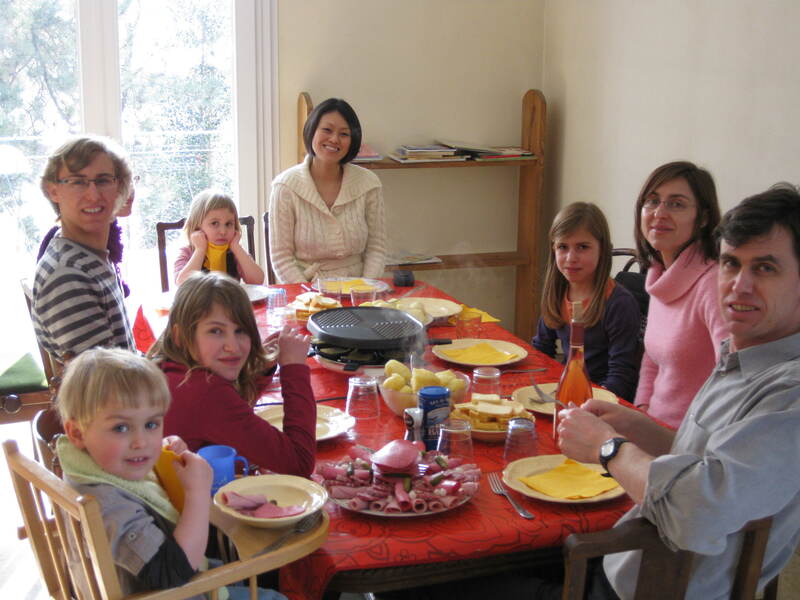 The family had us over for a special Sunday lunch and served us raclette with a huge plate full of cold cut meats and potatoes. 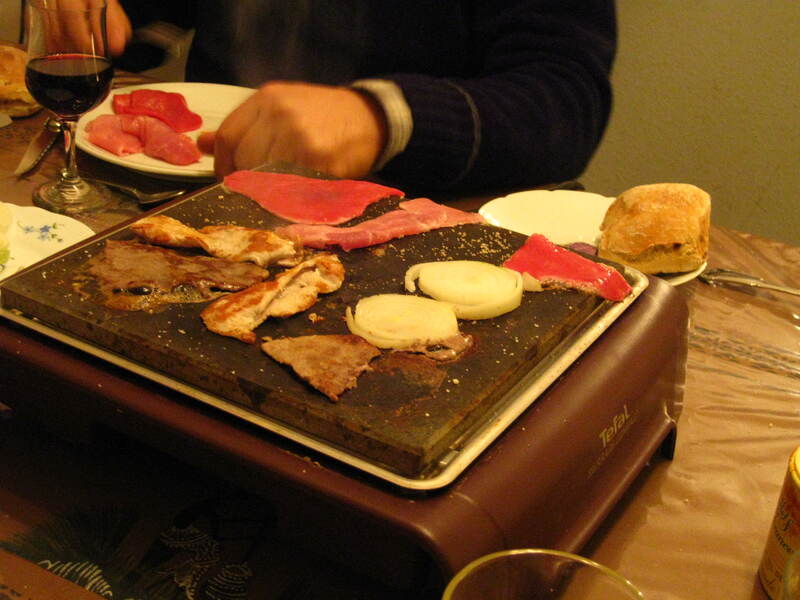 Raclette refers to this cheese dish that you place a sheet of a special cheese on a hot grill to melt it. You scrape the cheese onto cooked potatoes and eat it with meats. Mmmmm, yummo! 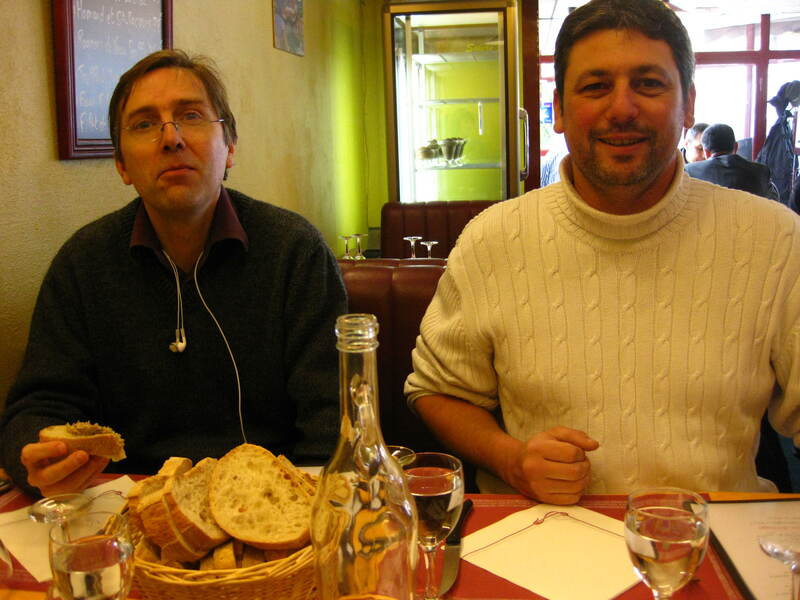 Two of the church leaders also took us out for a regional cuisine of Clermont-Ferrand. One of them, Vincent, once came to Boston for a conference and we had dinner together. The other one, Yannick, loves Japan. He has recently been there and may have an opportunity to return later this year. (His daughter is such a sweetheart. She learned some Japanese words to make conversation with Miho.) 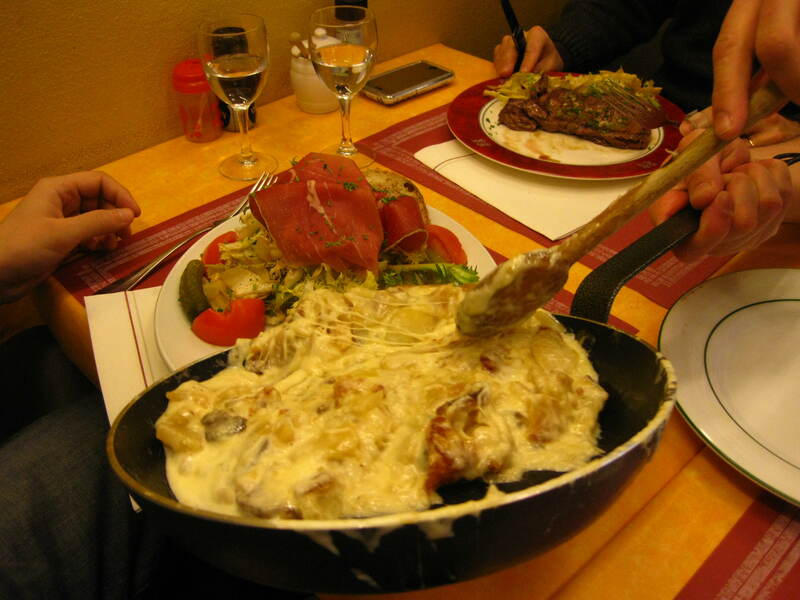 Grant had some special ham and Miho had veal, both served with cheesy potatoes called tartuffe. The baby seemed to be very satisfied as she was dancing in Miho’s belly after the meal. 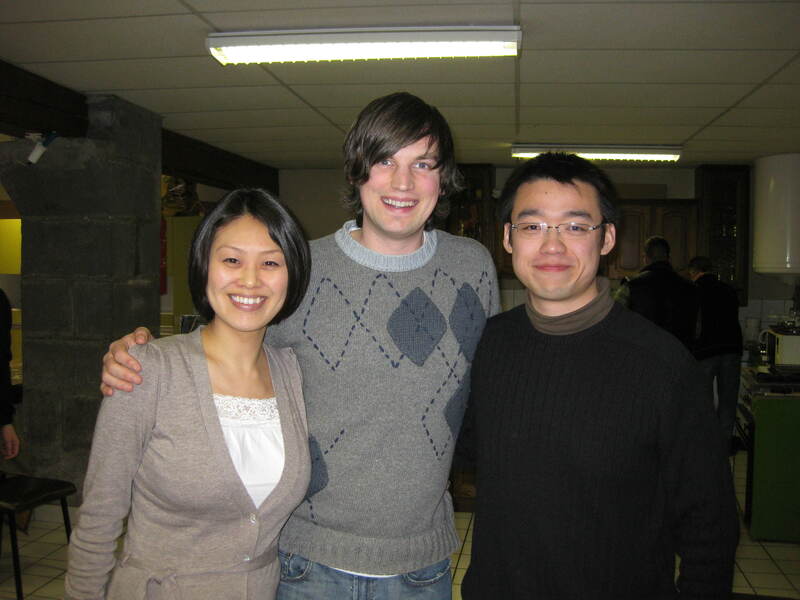 The last but not least is Fred, a Chinese student group leader who has been very instrumental in bringing other Asian students to the church and growing the youth group. 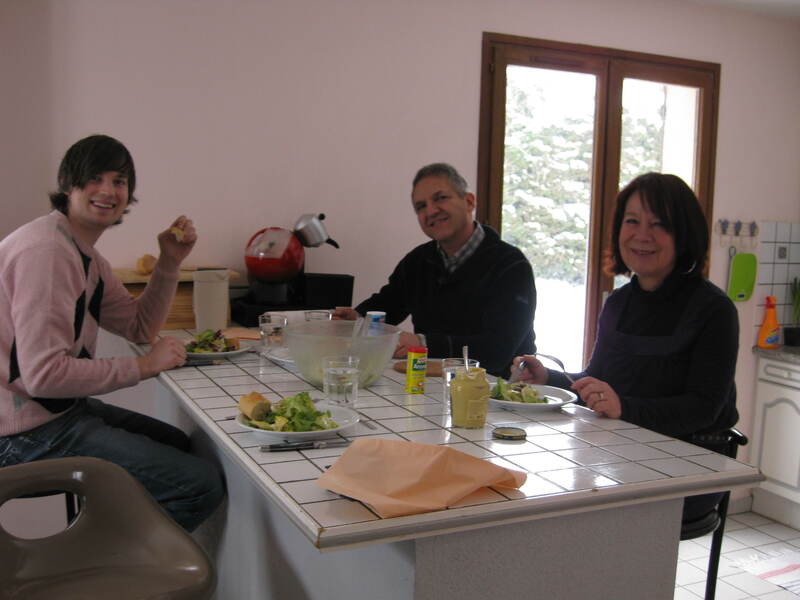 He welcomed us even before we arrived in Clermont-Ferrand through email and helped us run everything smoothly, from shopping for Japanese groceries, helping cook a Japanese meal, to interpreting for Miho. As he is full of excitement to serve Christ, we were encouraged by his spirit. Great ministry, great fellowship, and great food. What more can we ask for?